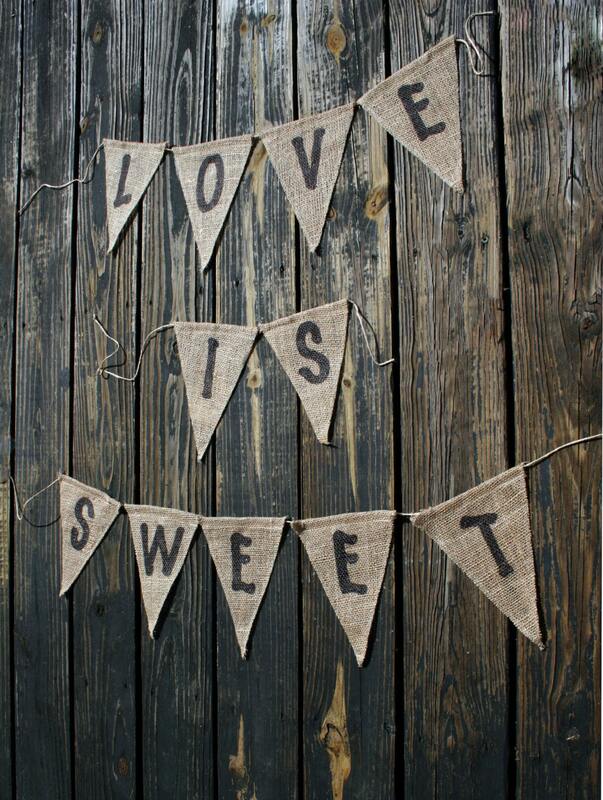 "Love Is Sweet" Burlap desert wedding reception banner. It's a sweet addition to a wonderful day. On this beautiful day when we say I do. Leave some for others. Be polite. Candy bars are the latest trend in wedding receptions. With a table full of sugary goodness your wedding guests are bound to leave your reception full of memories and delicious treats. 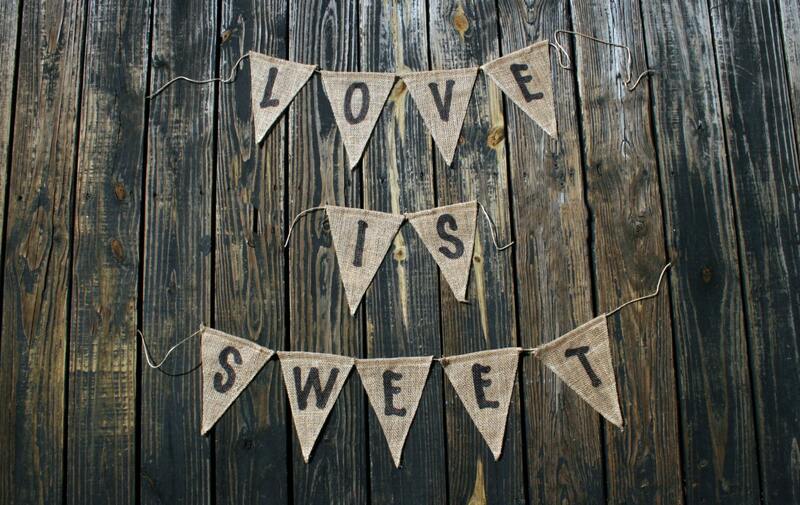 Even if you don't want a candy bar, wedding receptions generally have a sweets table. 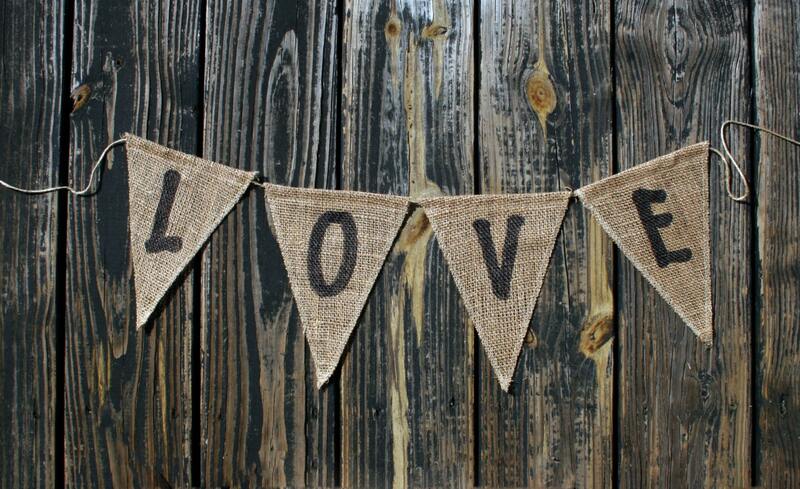 Make it fun by adding this "Love Is Sweet" Burlap Banner. 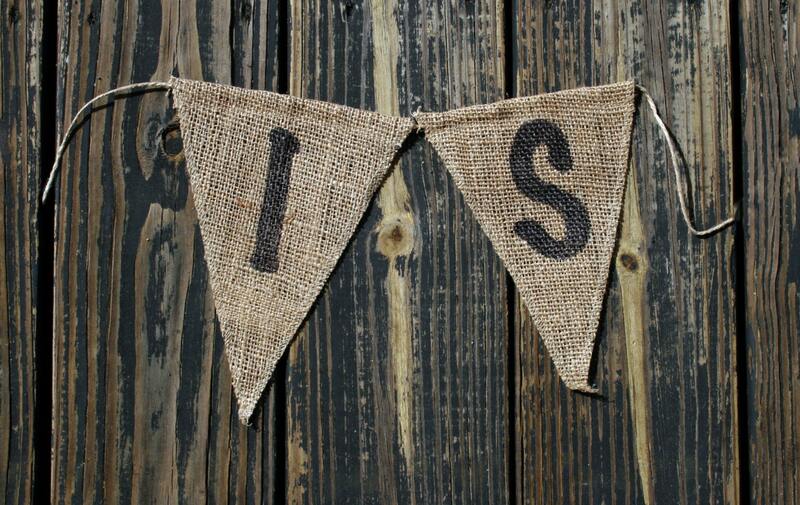 Each burlap triangle measures 6 inches long by four inches wide. The banner can be all one length or you can create three separate banners. 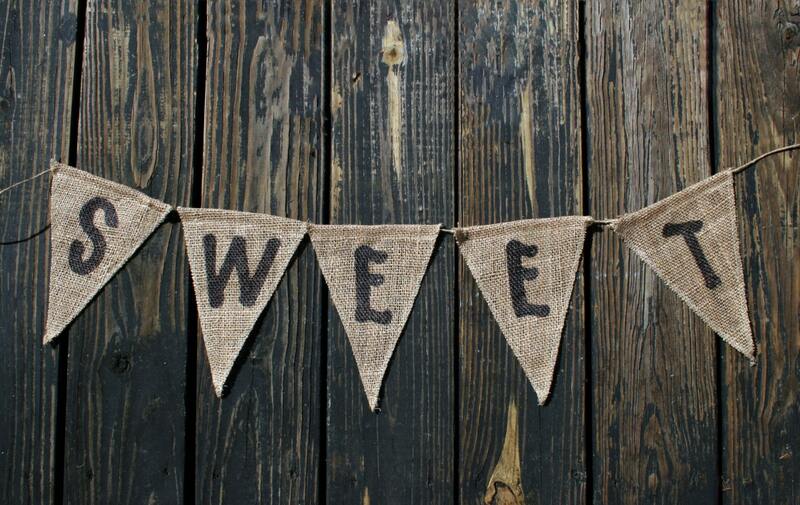 Candy bar bags and a sign with the above poem are also available. Please convo me for pricing. With candy bar bags (or boxes) bulk discounts apply.